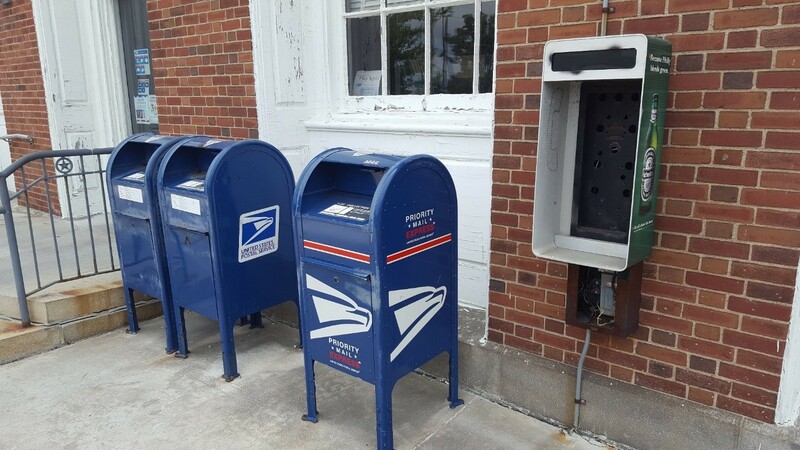 Visiting the post office today I saw the bones of obsolete technology (a pay phone) juxtaposed with a someday-soon to be obsolete delivery model (mail boxes). Let’s consider the In-Building Wireless market. For Wireless: faster speeds, wider bandwidth, more connected devices, higher frequencies, more rapidly changing technology, regulatory changes, ecosystem start-ups and rollups. We are in a state of hyper-progression. The supplier-consumer ecosystem must adapt or risk becoming irrelevant. The heyday of carrier spending, monetized by small specialty firms, is drawing to a close. Integrator rollups continue. Carrier spending is much more targeted and controlled and varies widely among the top four providers. Third Party Operators stepped in to apply their tower model to large venue in-building systems. Their spending is more tightly controlled and initiatives to control costs by the carriers is having a domino effect. While the in-building wireless space has been dominated by carrier funded cellular systems, the carriers, third party operators and most integrators have been hesitant when it comes to funding, constructing and operating in-building public safety communication systems. New fire codes, new local and county ordinances have placed the onus on enterprise and building owners to self-fund these systems. This has led to a bifurcated market of suppliers, technology, finance models, and the inefficiencies of parallel systems. There is a huge risk of wasted time, money and opportunity. Of the three, wasted opportunity may be the most costly and the most difficult to project. •Multiple vendors engaged in uncoordinated design, and construction, monitoring and maintenance. •Choosing between 100% self-funding (expensive) or giving up significant or total control of wireless infrastructure for ten or more years into the future (loss of control) by assigning ownership to a third party. •Risk of cross-system interference causing non-compliance to building / fire codes. Loss of service, safety exposure, financial risk. For the supply chain, a concentration of revenue among four carriers (two or three?) and a handful of third party operators leaves their businesses at great risk. OEM’s, distributors, integrators, and the rest of the supply chain MUST pivot to enterprise-funded systems: not just to participate in the coming boom, but simply to survive. For Carriers, an inability to fund all of the uncovered in-building square footage – leaving a vast gap of connected haves and have-not. For First Responders and the Public they protect, degraded or non-existent communications, lost minutes, lost lives, and lost property. There is no forecast for a DECREASE in usage, throughput, or the number of interconnected devices. Whatever growth we are projecting, history tells us we’ve usually been wrong. The move to higher frequencies and increased use of low-e glass and other energy efficient materials will make it more difficult for the macro to penetrate buildings. For First Responders now relying on digital voice, data, telemetry, and more accurate location (X, Y AND Z Axis), in-building communications systems must work. And if it has not already reached your zip code (as it has in NYC and many other jurisdictions) mandatory in-building wireless system code compliance is on the way. In summary, in-building communications systems have moved from the nice-to-have to mission critical plumbing with the added public safety gravitas akin to the deployment of sprinkler systems in the early 1900’s. It is a miscalculation for enterprise and building owners to sit on the sidelines hoping that a carrier will come in and solve their common and unique in-building wireless infrastructure problem(s). Enterprise must proactively plan for the best possible version of their in-building wireless and financial futures. Businesses should recognize legitimate business benefit from the expense and effort. The best option for businesses is to seek advice from a wireless infrastructure Developer-Manager who can not only guide them through all the forward looking technical and regulatory requirements of a system they must design and install today, but who can also bring to the table new and creative business and finance models to minimize cost, maximize capital efficiency, and lay a solid technology infrastructure foundation to future-ready their buildings for the foreseeable and unforeseeable wireless future. It could be that the most important consideration in selecting your in-building system partner is the creativity of their business model and the range of options in the financial structure of the project.